I am not a bag person, and I'm slowly beginning to be a shoe person. (Imelda Marcos is a long way off) I am however a jewellery person. I buy anything that catches my whim or dig into my Mom's awesome junk jewellery colllection spanning from the 60s to the 90s. Trips to Colaba Causeway, Goa's Tibetean market result in my accessory drawer bursting at its seams. 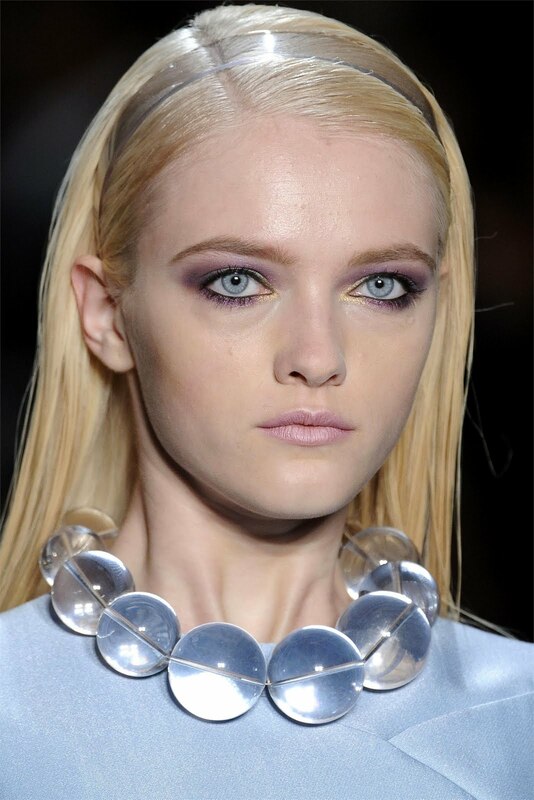 The aftermath of the Spring Summer shows such as Chanel, Micheal Kors and Fendi all displayed lucite jewellery. My favourite being the Micheal Kors necklace (pictured above). The necklace is perfect as it can be teamed with any colour/fabric. An end to my mix -match woes!! Now if only I can find a replica! !